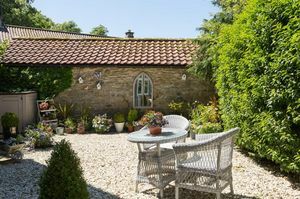 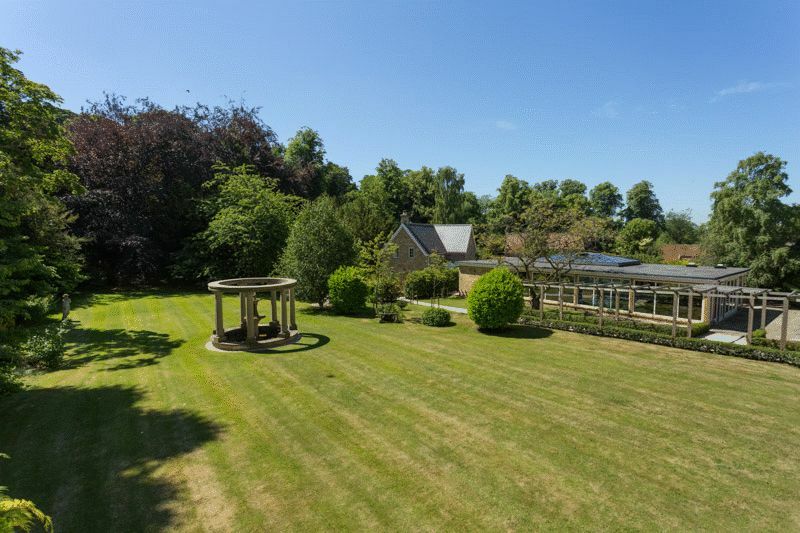 Exquisite former rectory with beautiful grounds and additional 3 bedroom detached lodge with separate access, in a favourite North Yorkshire National Park village. 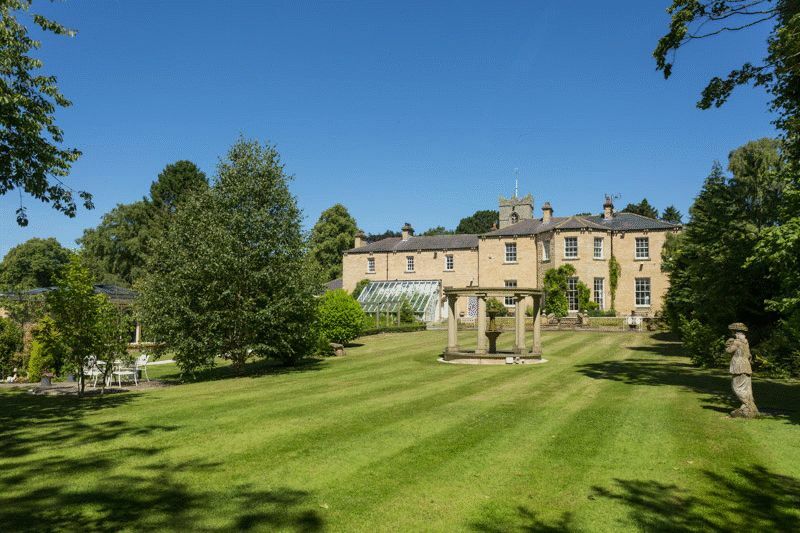 Built in 1841 as the rectory to All Saints Church and named after the first rector, Comber House is an elegant country house with beautiful, south facing gardens. Within its grounds is a stunning, newly built lodge house, set in a private position and with its own independent access. 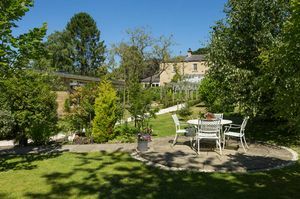 Both lie within a short stroll of the village’s many amenities. 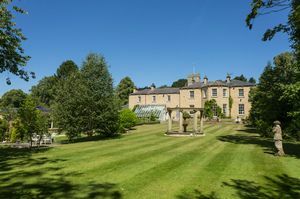 Well deserving of its Grade II listed status, Comber House is constructed from hammer dressed stone under a Welsh slate roof, with a central canted bay and elegantly proportioned rooms. 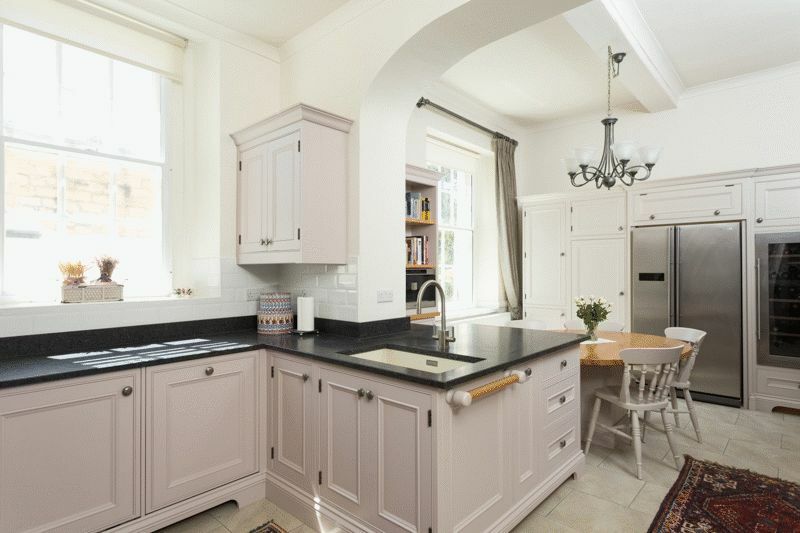 Painstakingly restored under the current ownership with great skill and no expense spared, the interior space is highly adaptable and works equally well as one family home or arranged as two distinct living quarters incorporating the West Wing. 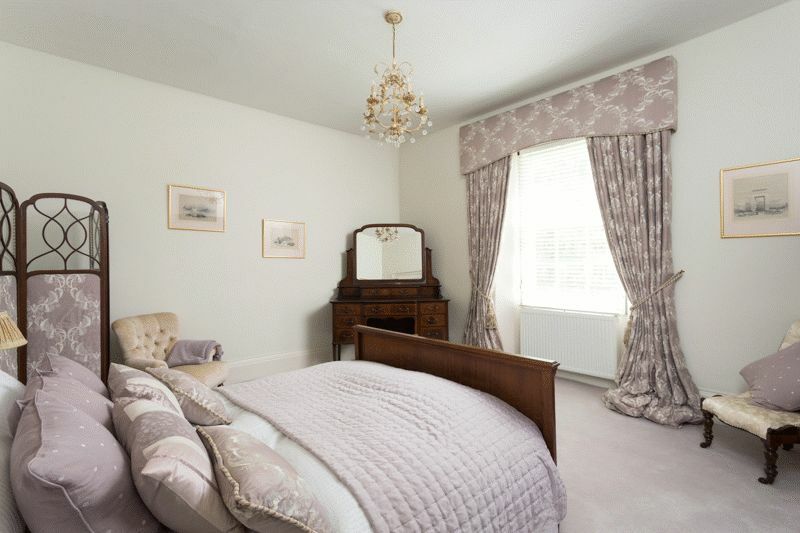 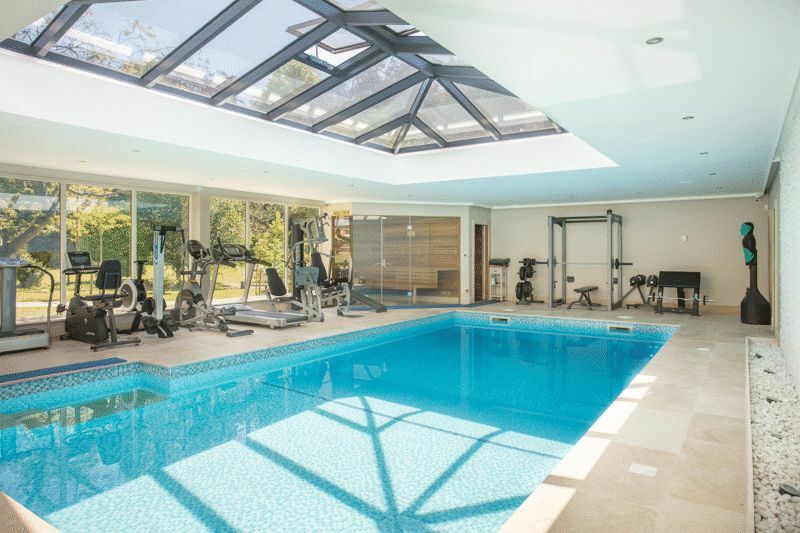 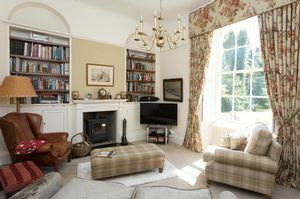 Superbly fitted out and furnished to an exacting standard throughout, the main house provides over 4,500 sq. feet of accommodation. 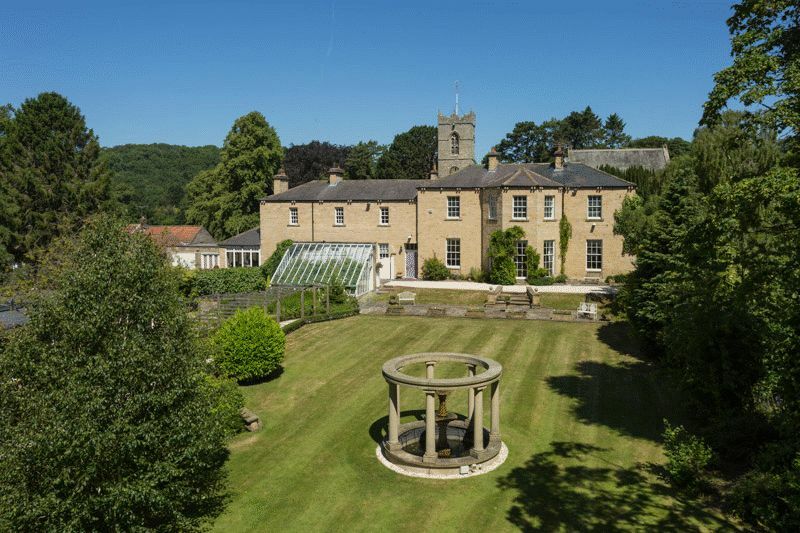 The North York Moors Park Planning Department have indicated that they may look favourably upon change of status to boutique hotel and/or spa, subject to obtaining all necessary consents and permissions. 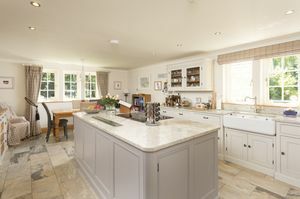 •	Bespoke, handcrafted kitchen breakfast room by Chalon of Somerset, widely recognised as leaders in their industry: fitted base units incorporating sink unit with matt granite tops; fitted housekeepers cupboard housing integral Miele fridge and freezer; microwave with upward folding doors; Fischer and Paykel integrated dishwasher; cream 4-door gas AGA; central island unit with polished oak worktops; cast iron wood burning stove with heavy cast iron surround with stone hearth; original glass fronted display cabinet. 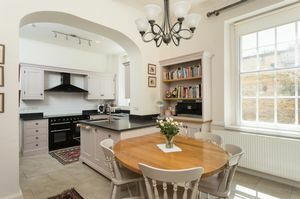 •	Bespoke kitchen with dining area by The Handmade Kitchen Company of Pickering: Shaker style base and wall units; matt granite worktops incorporating inset double width Blanco sink and mixer tap; fitted oak topped dining table; integrated Bosch dishwasher; automatic washing machine; Whirlpool microwave; electric Rangemaster stove with corresponding extractor over; ceramic tiled floor; integrated Miele coffee machine; integrated larder units with recess for American style fridge freezer; Bosch freezer; integrated Liebherr wine and drinks fridge. 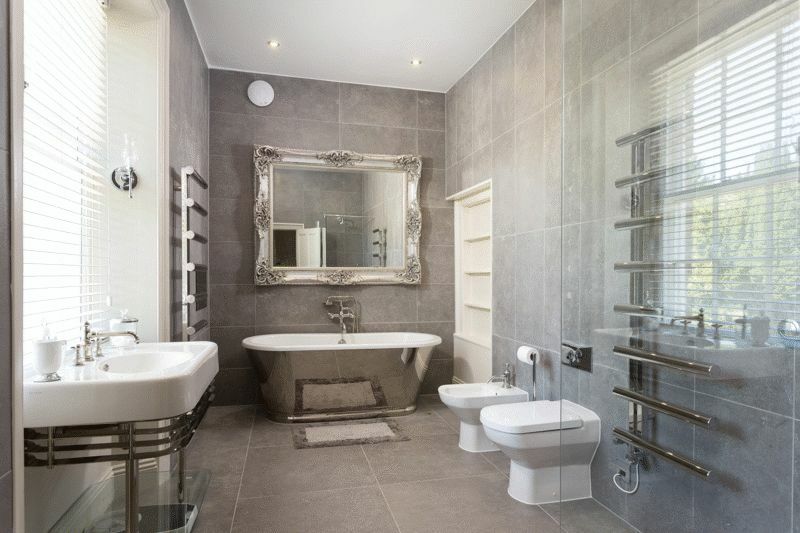 •	All bathrooms have underfloor heating and touch button, thermostatic showers. 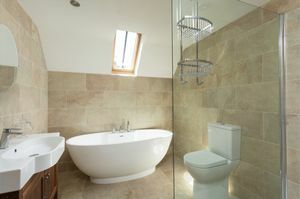 The main bathroom has an integrated, waterproof television. 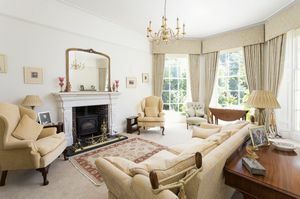 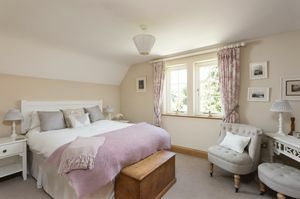 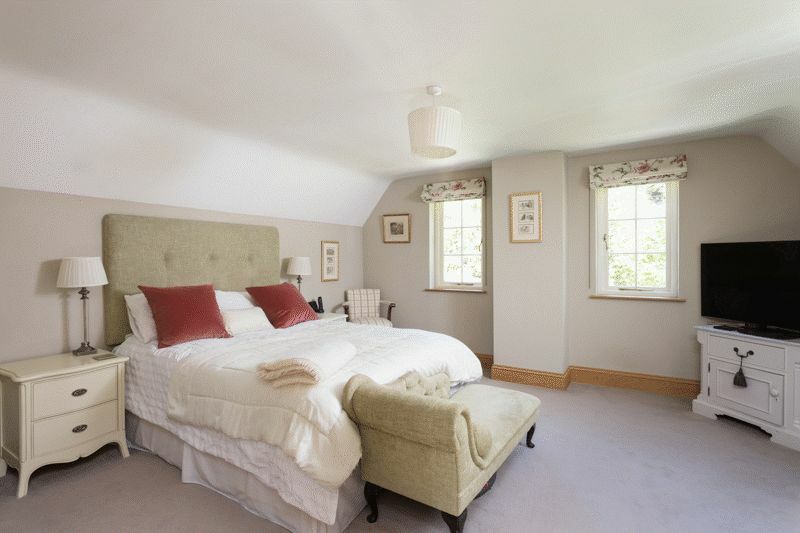 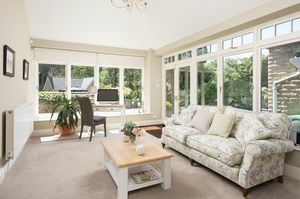 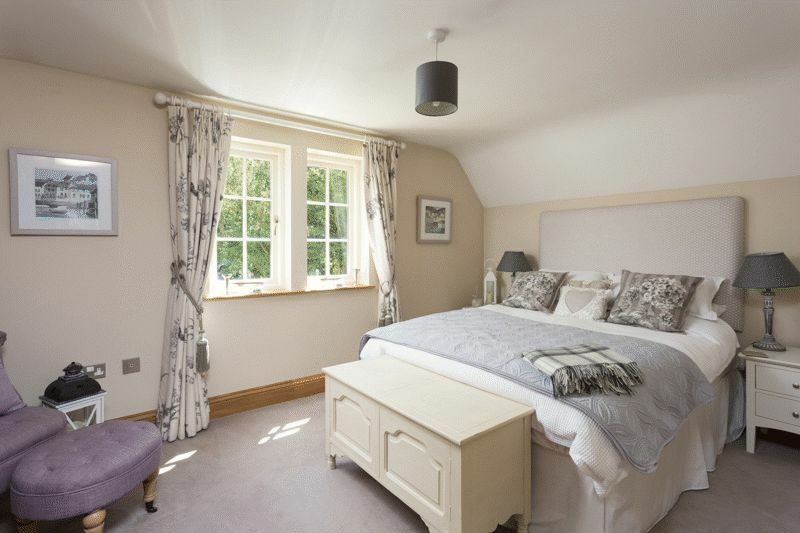 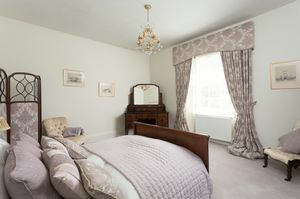 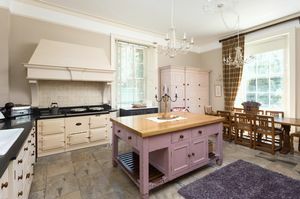 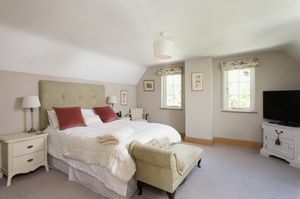 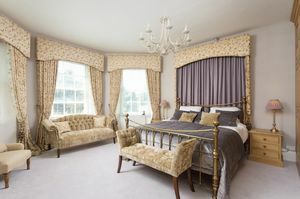 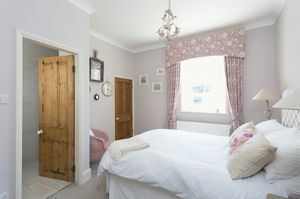 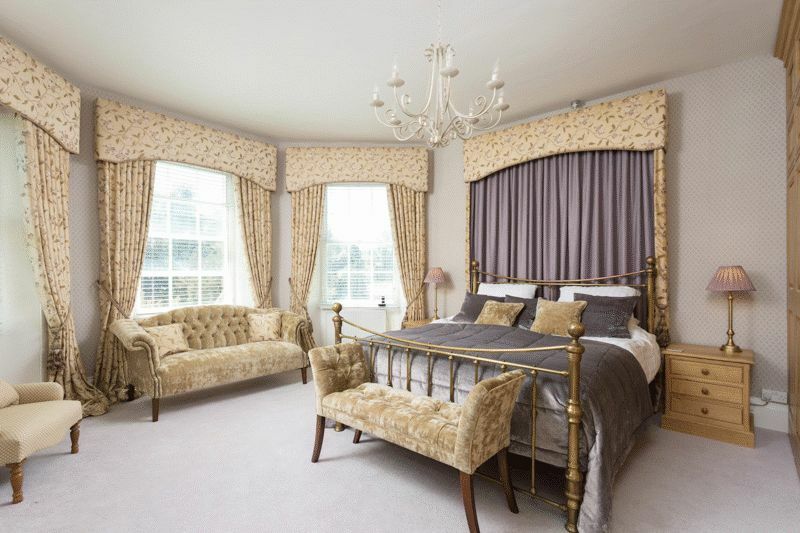 This superb, entirely renovated leisure suite lies a discreet distance from the principal house. 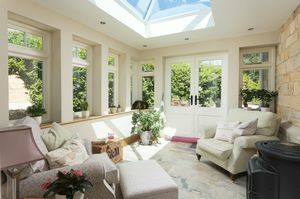 Bifold doors open full-width on to the sheltered entertaining terrace. 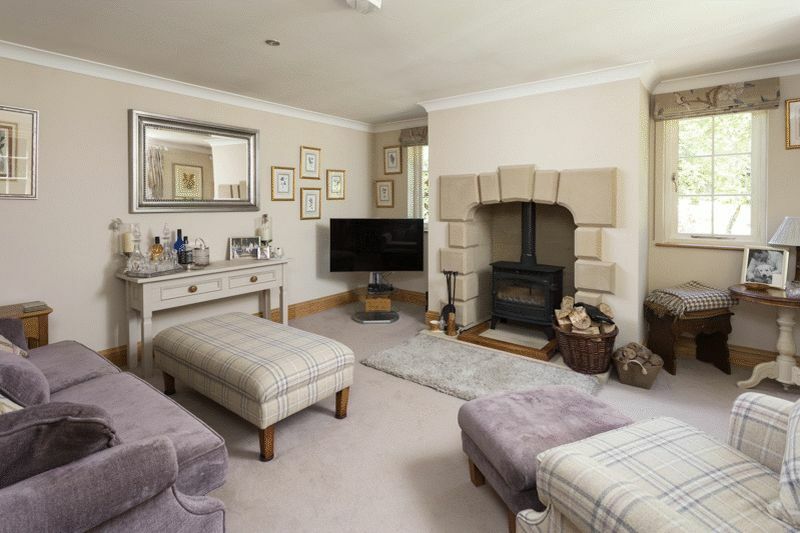 An impressive property in its own right, The Lodge is detached and sits in the corner of the grounds with separate access. 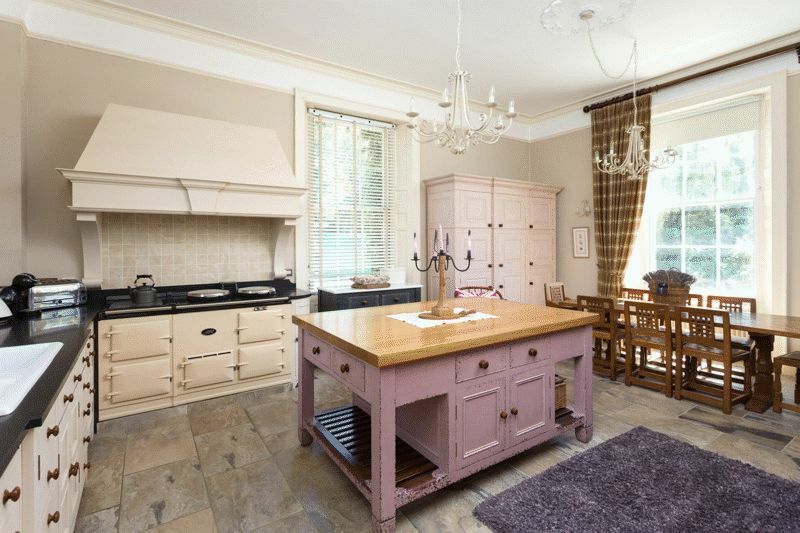 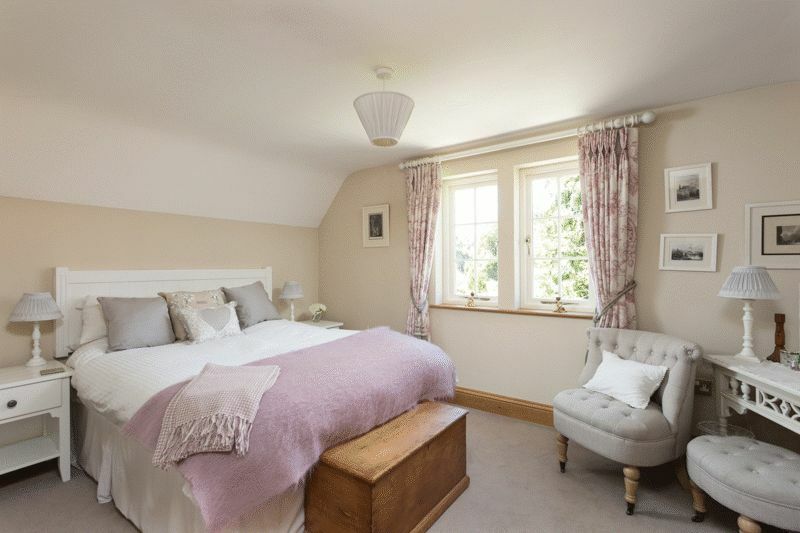 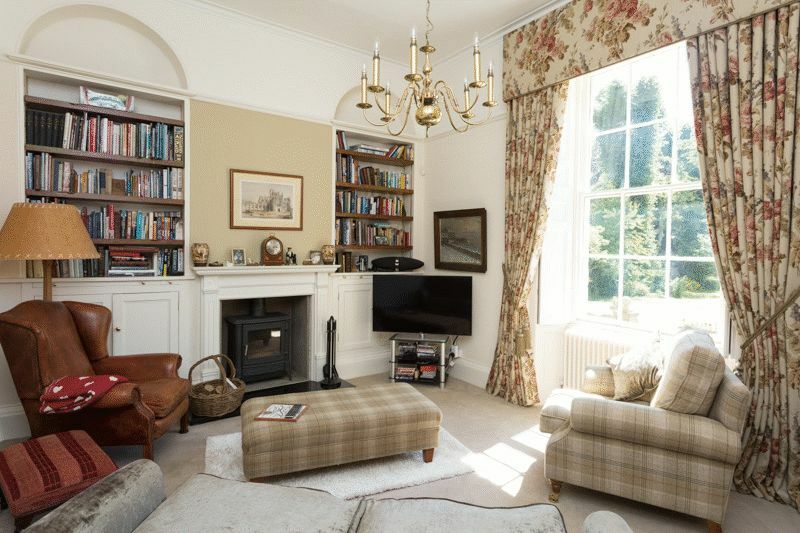 It is a beautifully executed house faithful to the style of a mid-nineteenth century lodge. 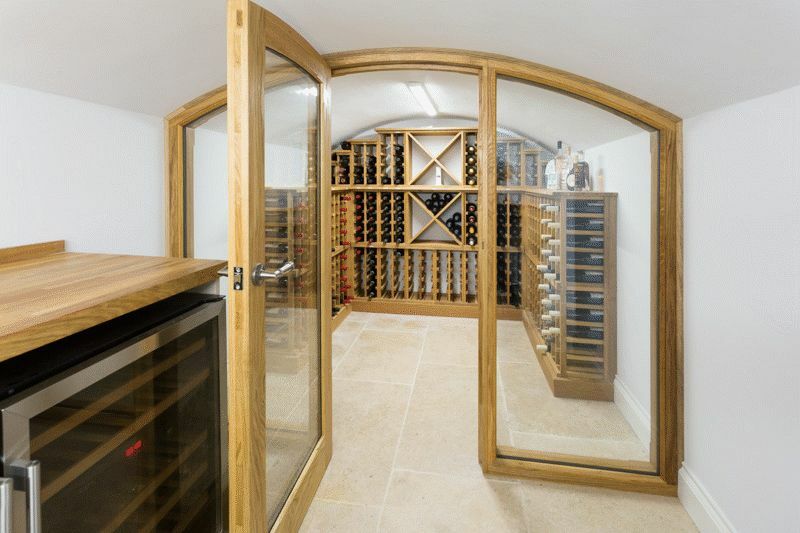 Constructed from reclaimed stone, the property combines a traditional aesthetic with oak joinery throughout, deep skirting boards and stone edged mullioned windows. •	Dining kitchen with handcrafted bespoke kitchen units: glass fronted cabinets and separate larder units; solid granite work tops incorporating double bowl ceramic sink unit with mixer tap; central island topped with granite and incorporating Rangemaster electric stove; AEG microwave inset into the central island unit; AEG inset extractor; integrated dishwasher. 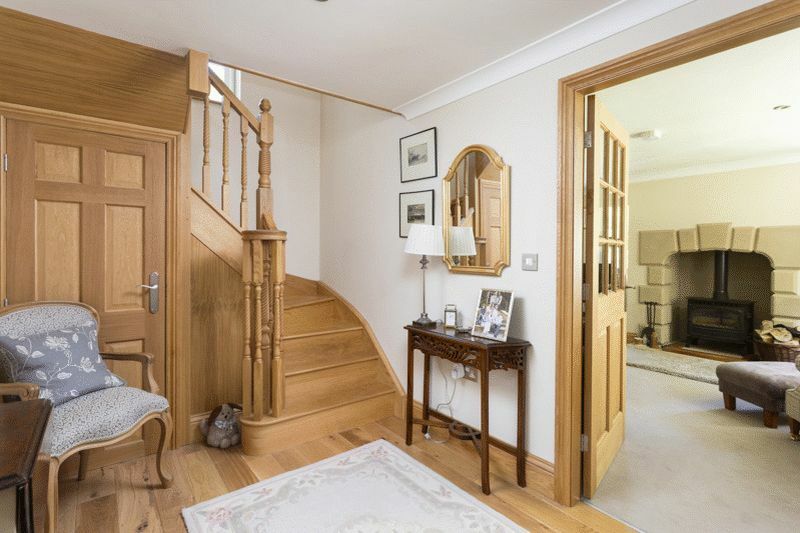 •	Independent entrance off Dog Kennel Lane via wrought iron electric double gates and onto the driveway with garage to the front. 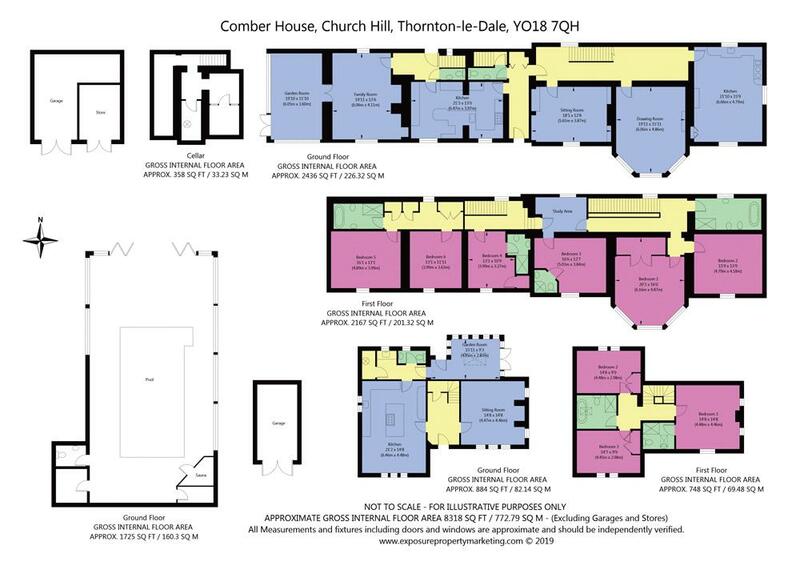 Comber House is approached from Church Hill accessed via electric double gates leading to a large parking area. Set in overall grounds of 1.19 acres, immediately to the front is a gravelled area leading down stone steps to a wide stone flagged terrace with a glass house, constructed at the same time as Comber House. 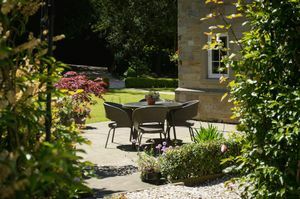 The garden has been carefully landscaped to create separate areas of interest including broad flower borders filled with established plants and shrubs, sweeping lawns and two magnificent lime trees, all marked by a stone wall to the east. The central lawn features an ornamental sandstone water fountain, and the far southern boundary has a belt of mature specimen hardwood trees including beech and a number of ancient yews.’ There is a useful garden shed and workshop, discreetly tucked away. 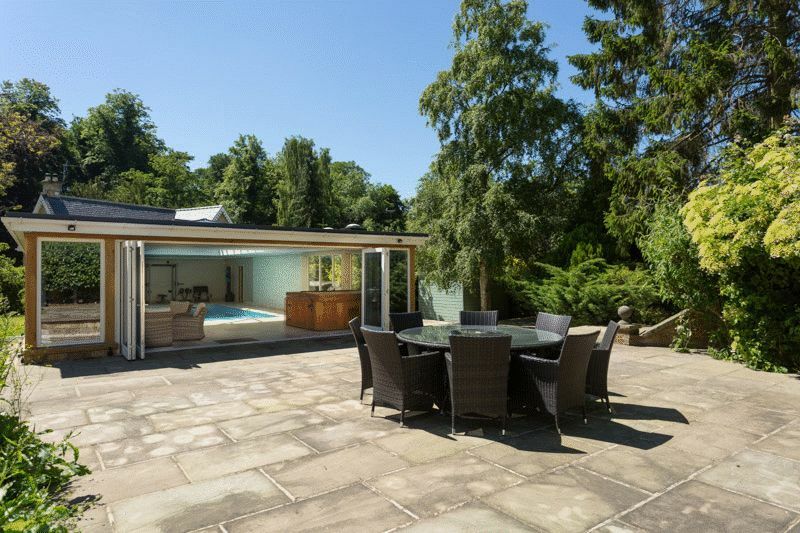 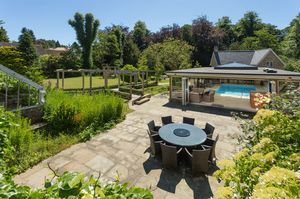 To the far western edge of the terrace and accessed via the garden room is a further terrace which drops down to a large sheltered seating and entertaining area alongside the swimming pool. Comber House is located in the heart of Thornton-le-Dale, one of North Yorkshire’s most picturesque National Park Villages. 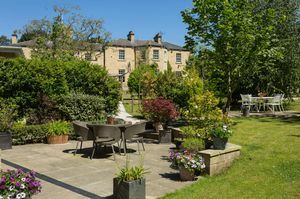 This thriving village is centred around the beck and the village green, clustered around which are a number of independent shops and eateries, including two public houses and a bistro. 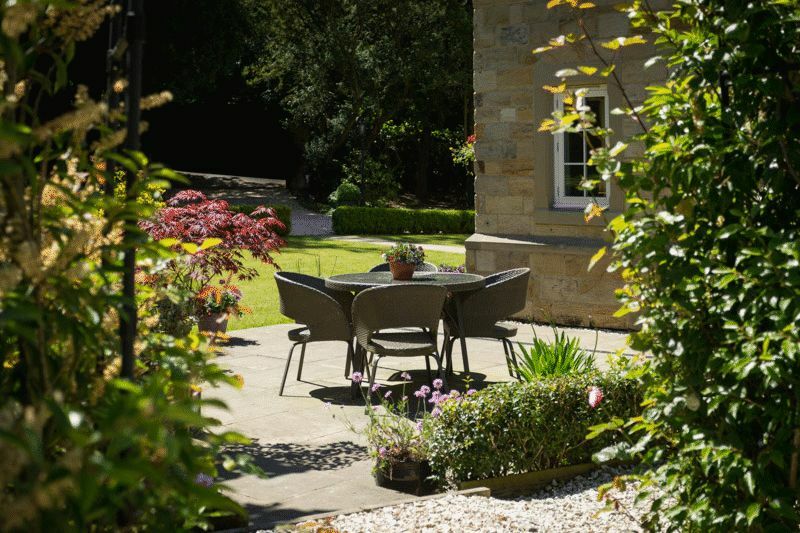 The village lies on the doorstep of some of the most beautiful countryside in the area with endless opportunity for outdoor recreation. Thornton-le-Dale enjoys easy access to the A64 providing links to the A1M and the major conurbations of Yorkshire. 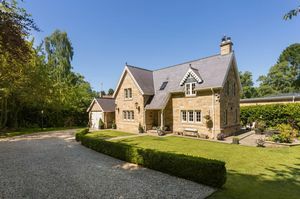 Only 15 minutes’ by car is Malton Railway Station with its regular services to the main line station at York, where there are direct services to London, Leeds, Newcastle and Edinburgh. 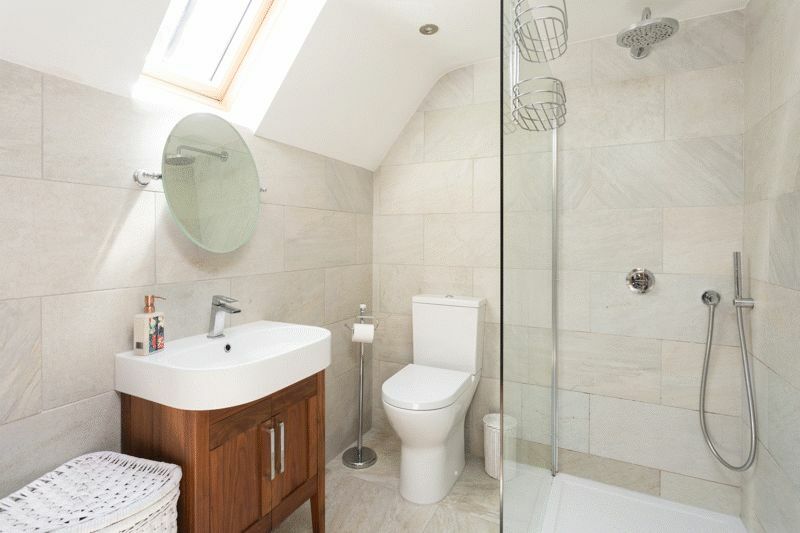 Services: Mains water drainage, gas and electricity. 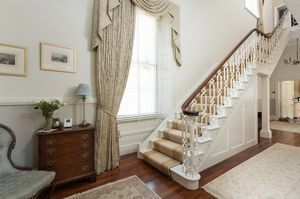 Central heating to Comber House is gas-fired with separate boilers servicing the Main House and the West Wing respectively. 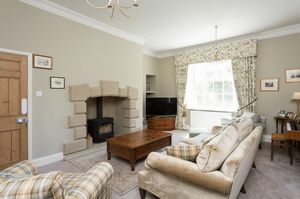 Comber House Lodge has air source heat pump heating, with separate immersion heater. 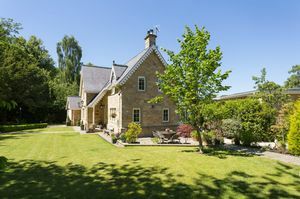 Council Tax: Band H (Ryedale District Council). 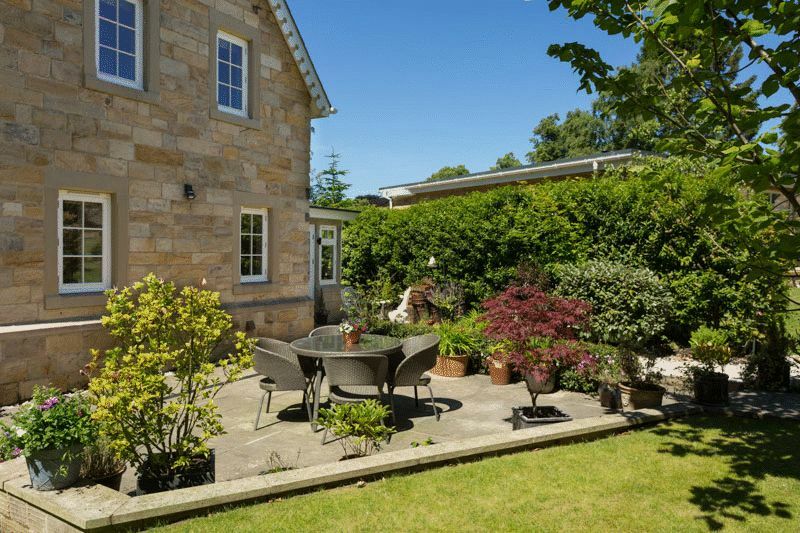 Tenure: We understand that the property is Freehold and that vacant possession will be granted upon completion. Directions: From Pickering take the A170 due east towards Scarborough and after about 2 miles one enters Thornton-le-Dale. 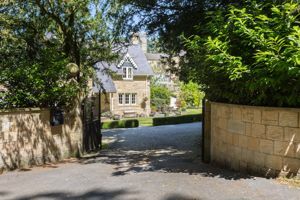 Continue uphill along the main street. 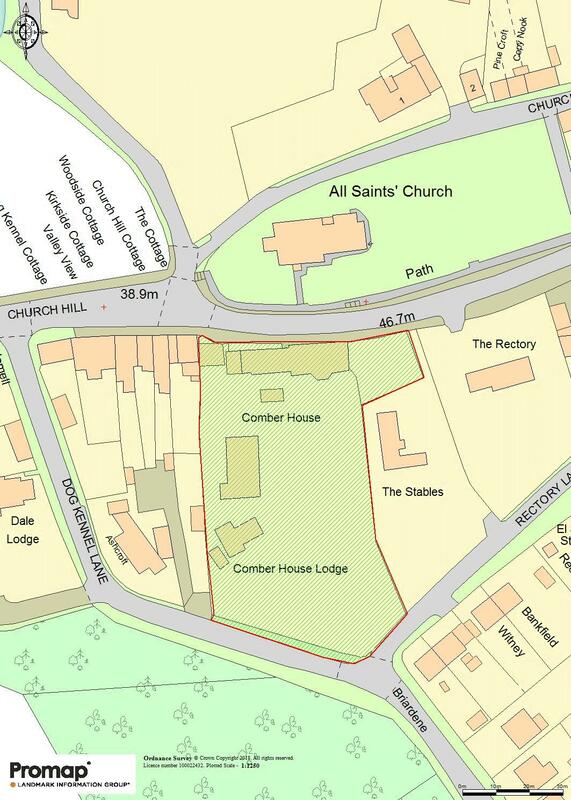 Comber House is on the right hand side and lies directly opposite All Saints Church. 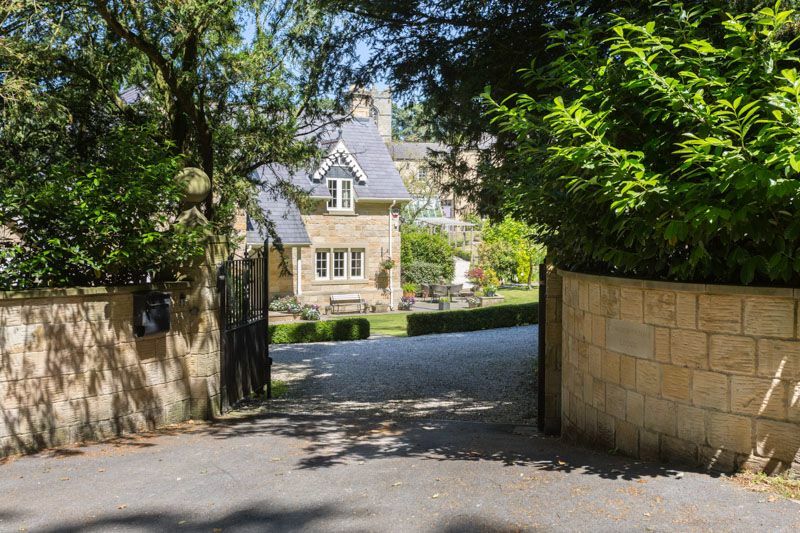 Comber House Lodge is accessed off Dog Kennel Lane to the south.